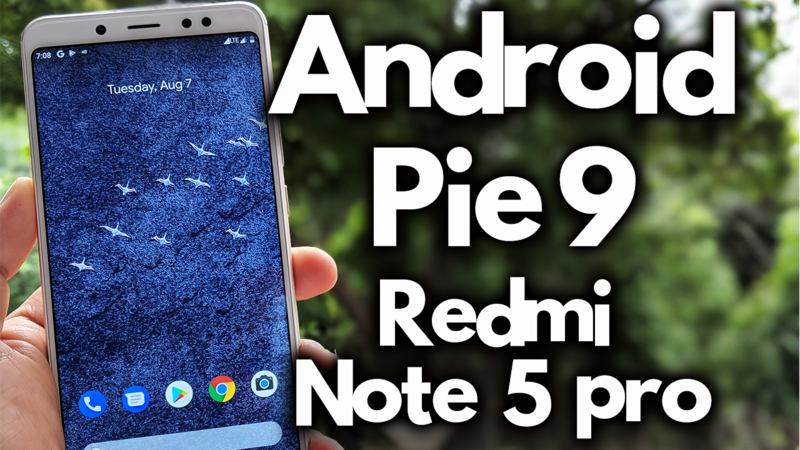 Android Pie 9.0 is now available for the Redmi Note 5 Pro users. A few months back Google released Android P 9.0 for many phones. Now one XDA developer manages to Port the Android P for the Snapdragon devices. Redmi note 5 Pro is one of them if you are the Redmi Note 5 pro user and want to Install Android P on Redmi Note 5 Pro. Here is the complete guide which you can use on your phone and install the same on your phone with the help of TWRP custom Recovery. Yes to install this Android P on your phone you need a phone with custom TWRP recovery. Check this guide to install the TWRP on Redmi Note 5 Pro. This is Unofficial Build of the Android P and has some bugs minor bugs. If you want a more stable release of Android 9.0 for your Treble-enabled device, wait for Google to release the source code next month so proper GSIs can be compiled from source. But if you want to test the same on your phone. Then you can follow this guide and enjoy the Android P on your phone. We tested the same on our Redmi Note 5 pro and flashed the same successfully on our phone. So here we sharing the complete guide to flash the Android P Beta on Redmi Note 5 Pro. This process will wipe all the data from your phone, so do take the full backup of your phone. This guide is only for the Redmi NNote 5 pro users and don’t try this method on any other Xiaomi phones. So read all the steps very carefully and follow all of them one by one. One wrong step and you will brick the phone. 1. Do take the full backup for your phone. 2. 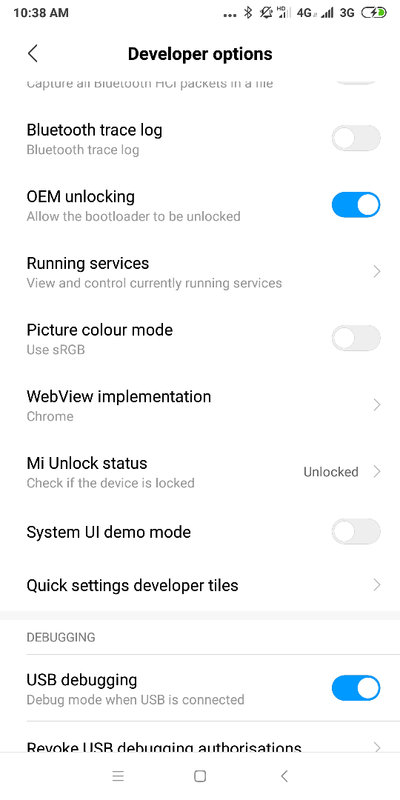 Unlock Bootloader of Your Redmi Note 5 pro. 3. Install TWRP on Redmi Note 5 pro to install the Android P.
4. The battery should be charged and above 70%. 5. Enable USB debugging on your Android device. To do this go to your Settings -> About Phone -> Now Tap on the MIUI version 7-8 Times until you see a toast message “Developer option enabled”. 2. P-PR1-sGSI-Aonly.zip. Save it on your phone. 3. POST-sGSI_3_v0.2.zip. Save the zip file in phones internal memory. 4. Magisk Zip. Save the zip file in phones internal memory. 5. Camera2 API zip. Save the zip file in phones internal memory. 5. Overlay zip. Save the zip file in phones internal memory. 5. GcamFix zip. Save the zip file in phones internal memory. 6. Google Play Store fix apk. Install the file at the end to fix google play store problem. 6. Google Camera apk. Install the file at the end to run Google Camera. 1. Save all the download files on your phone and boot your phone in TWRP mode. 2. To boot your phone in TWRP mode. Switch Off your phone first and hold Volume UP + Power button. 3. Once your phone in the TWRP mode. Go to Wipe > Advanced Wipe > Select Data, Cache, Dalvik, System, Vender and Swipe to wipe. 4. Now go Back to the TWRP home. Tap on Install and select the Trebel Whyred zip and Swipe to Confirm. 5. After that, Go to Mount and Mount System and Vendor. 6. Go to Install. Select Option “Install Image” and select the P_PR1_A_only.img file “System” and Swipe to confirm. 7. Now flash the POST-sGSI_3_v0.2.zip file and Overlay zip file. 9. Now Reboot System. Once the Phone is booted Turn it off and boot again in TWRP. 10. Now save the magisk Zip file, Camera 2 Api, Gcam fix zip in the phone. 11. Go to Install and flash magisk Zip file, Camera 2 Api, Gcam fix zip on your phone. 13. Now install Google service and Google camera apk file and you are done. Now your Redmi Note 5 Pro will boot in the Android P.
Hope this helps you to run Android P on your phone. If you are facing some problem with this guide then leave the comment below and we will help you to fix it up. Now its ok, but no camera app is found, how do i install camera? Camera Not working with Camera 2 Api, camera setting crashing. ada yg via updater ngga?